Manchester United are reportedly considering whether to loan out Scott McTominay this month, with Celtic said to be at the front of the queue for his signature. The 22-year-old midfielder has struggled for game time this season under both Jose Mourinho and now caretaker boss Ole Gunnar Solskjaer. He has made just three starts in the Premier League this term, but did feature in the recent FA Cup win over Reading, and has also made four more appearances from the bench. Solskjaer has so far preferred the midfield trio of Paul Pogba, Ander Herrera and Nemanja Matic, prompting the Scotland international to consider the possibility of a temporary switch for regular game time. McTominay was wanted by Championship sides Aston Villa and Leeds last summer and although United rejected those advances it is thought that they are now ready to let him leave on loan. The report in the Scottish Sun claims that Celtic boss Brendan Rodgers is looking at bringing in the midfielder, while Aberdeen have also been mentioned as more of a surprise destination for McTominay, who is under contract at Old Trafford until 2021. 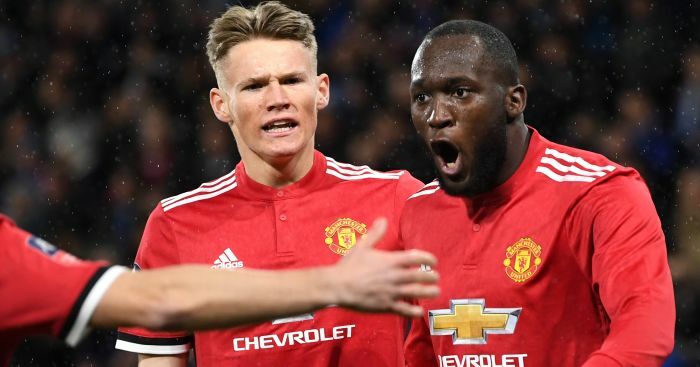 The post Celtic leading chase to land Man Utd midfielder in loan deal appeared first on teamtalk.com.